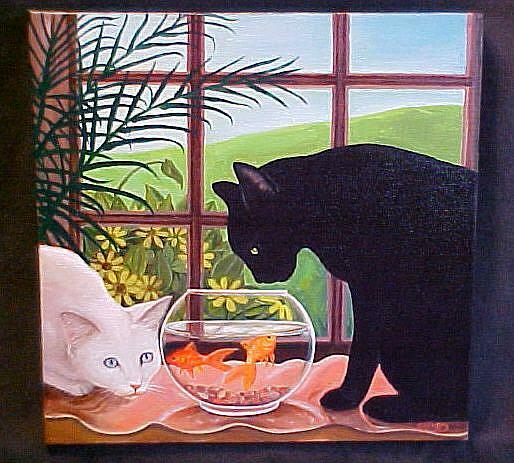 The way the fish are looking at the cats became the title of this painting. It didn't occur to me until I nearly finished the painting that a fish can be curious as well as a cat. Sometimes a painting creates itself while I'm concentrating on colors and details. I just think it's amusing how this happens.